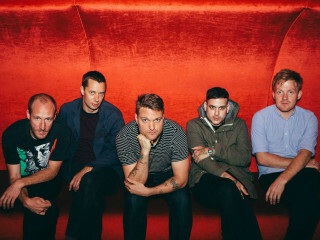 Featuring the best of craft brew and music, Untapped Festival Houston will feature two stages of music, including Cold War Kids, Twin Shadow, Deer Tick, Fat Tony, Sarah Jaffe, New York City Queens, Gio Chamba and a DJ Set from the Wrestlers. Untapped Festival energetically encapsulates the eclectic culture of craft beer while highlighting both emerging bands and established music acts. Over 275 unique craft beers from more than 70 breweries will be featured at Untapped Festival Houston. Festival-goers will enjoy craft brews from Goose Island, Karbach, Saint Arnold and 8th Wonder and notable, hard to find beers from Brash and Jester King. The list also features four gluten-free cider companies and for the first time in Untapped history, Untapped Houston will host its first-ever meadery, Crafted Artisan Meadery. Untapped Houston will once again feature a Goose Island Beer Garden and will welcome the addition of a new Saint Arnold-sponsored Game Garden, featuring air hockey, foosball, ping-pong, giant jenga and more.